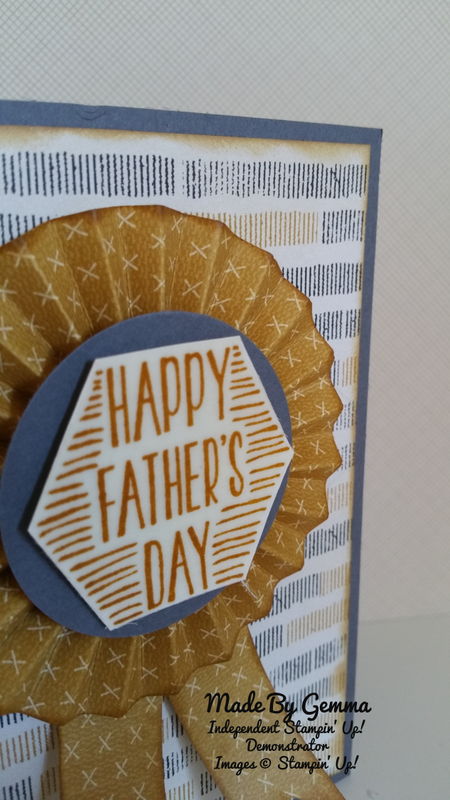 This week for technique Tuesday I am demonstrating one way of using heat embossing on your projects. 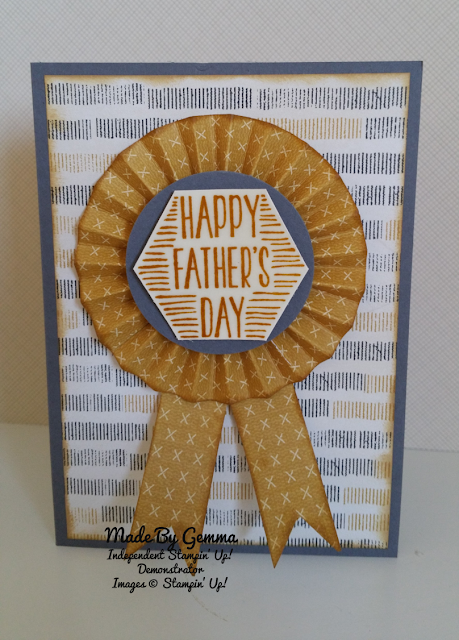 In my video today I show you how to put the rosette together and then how I assembled the finished card including the inside. 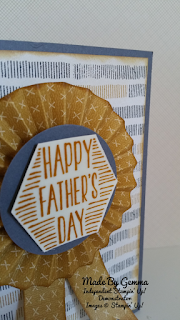 The sentiment on the centre of the rosette has been triple heat embossed with clear powder to give an extra shiny thick coating on the stamped image. 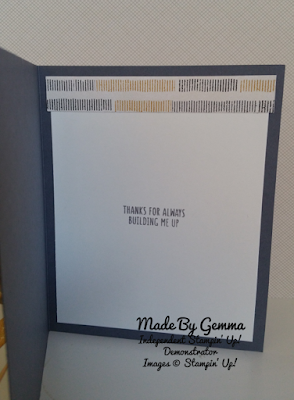 For this card I have used Nailed It stamp set and Urban Underground Speciality Designer Series Papers from the S/S catalogue. 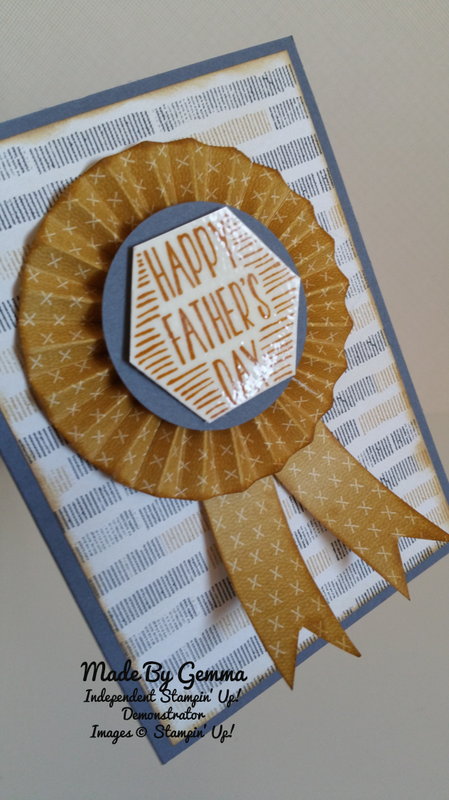 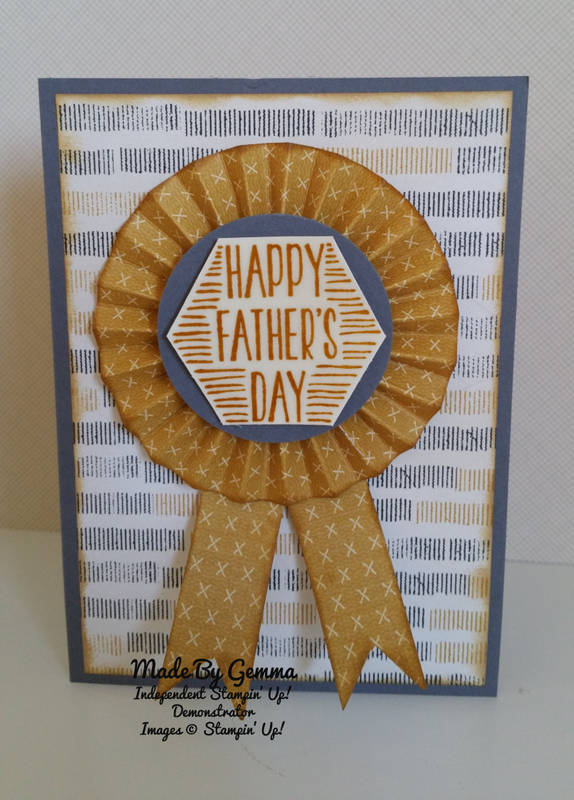 These are great to use for your masculine cards and projects especially Fathers Day. 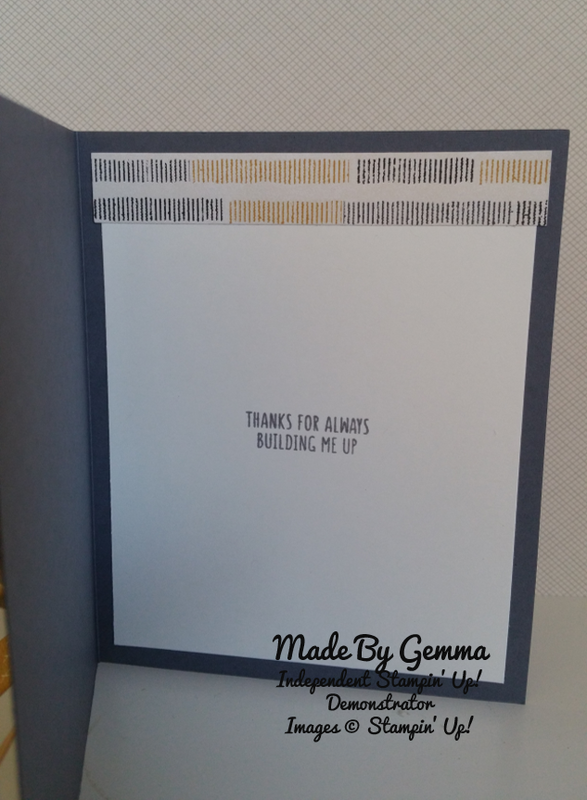 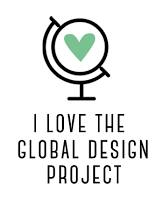 It coordinates with Basic Gray and Delightful Dijon which are a combination that I really love.